BRAZORIA, TX (KTRK) -- An already controversial multi-million dollar Christian water park project is now being challenged at the ballot. The park is called Splash Kingdom. There are already several location in Texas, the newest proposed site is up for a vote in Brazoria. The proposal includes $1.75 million in city bonds to be spent on a number of components of the future park. 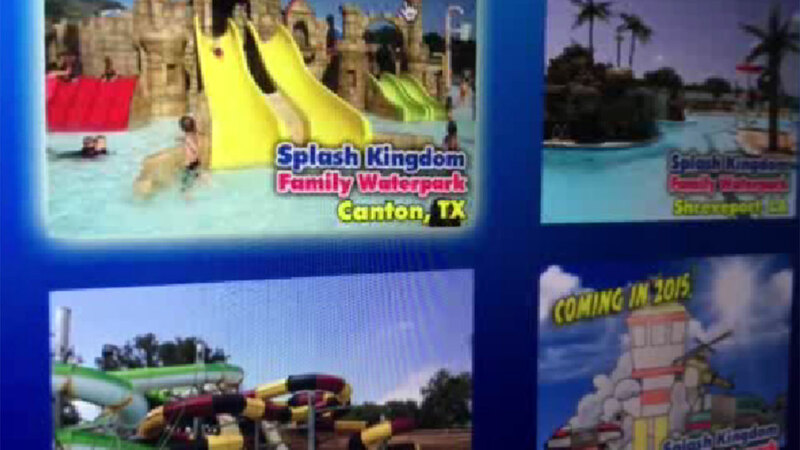 Eyewitness News has learned the language on the ballot says nothing about a water park. That some some voters concerned. "I believe it's beneficial to the pro side. I believe the way it's written will draw undecided voters more to voting in favor of it," said one supporter of the water park. "We're supposed to be voting legally on a water park and now we're just voting on a park," said Bobbyjo Newell, who has been vocal about the opposition of local tax dollars being spent on a private project. The Brazoria mayor says he's OK with the wording. "I didn't see this as an issue before so I didn't thought to bring the question to them," said Mayor Ken Corley. The proposed water park will include at least one slide, a lazy river, children's play area, concessions and locker rooms. The land is said to be donated to the city by a local church. The developer is a devout Christian. The water park's website states Splash Kingdom is a place "to glorify God while providing a safe and fun recreation experience for families." A dress code is enforced. It includes "only appropriate swimwear allowed. No jeans or baggy pants. Underwear may not be visible. No G-strings, belt buckles, rivets, denim shorts/pants, or basketball shorts."